Anthony Hudson is probably the best young English manager that you’ve never heard of. Son of the great Chelsea playmaker Alan Hudson, he was appointed as manager of the Bahrain national side whilst only 32-years-old. 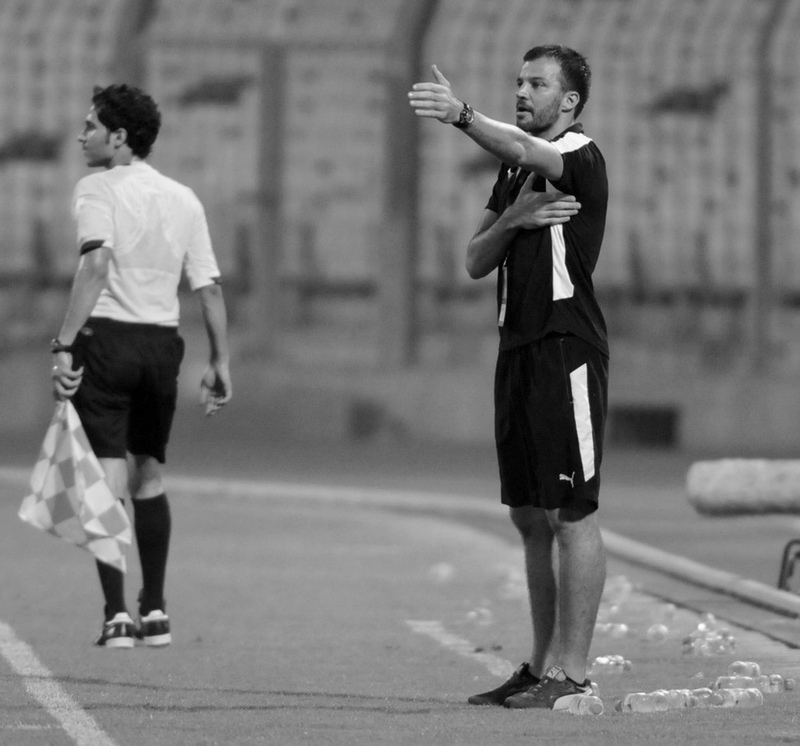 The ex-Newport manager moved to Bahrain in March 2012 under the wing of Peter Taylor and brought immediate success to Bahrain’s under-23 and Olympics sides. His work did not go unnoticed and he was eventually given the nod to replace the sacked Gabriel Calderón as manager of Bahrain’s senior team recently. ‘’The level in the Gulf is very high and here in Bahrain there is a lot of talent and a great spirit which people overlook, the Gulf is certainly an untapped resource. ‘’I think more and more players are filtering their way into Europe but I do feel there is a slight ignorance towards football here. People don't really know about the level and that leads them to make ill-informed assumptions. Players may not be the only people being overlooked in the Gulf region. Having obtained his UEFA ‘’A’’ License - the second highest European coaching qualification – at the tender age of 25, Hudson is arguably the hottest young English manager around. ‘’I'm only interested in being my own man. As long as I can stay true to myself and keep growing and developing - I'm happy. Other things I don't really think about. ‘’I’ve learnt and taken from every manager I’ve met and worked with. I am so grateful that I’ve had the chance to be around some top managers and I’ve got so much from them. ‘’I don’t have any plans on location for my next step; as long as the job is a progression I am happy. I can now speak Spanish and I’ve just started French so I’d like to be able to speak four languages which I am sure will open more doors for me. With his ambition, experience and pedigree it is clear that Hudson has a sparkling managerial career ahead of him. But, back to the original question: where are all the good young English managers? The answer: overlooked in Bahrain as we dwell in our arrogance, apparently. More on Anthony at anthonyhudson.com.